plush lounges – the Plaza Premium Lounge and the Golden Lounge. Whiling away time at these premium lounges, sampling all it’s luxe facilities and gorging on the gourmet stuff was the perfect way to wrap up our Malaysia sojourn. 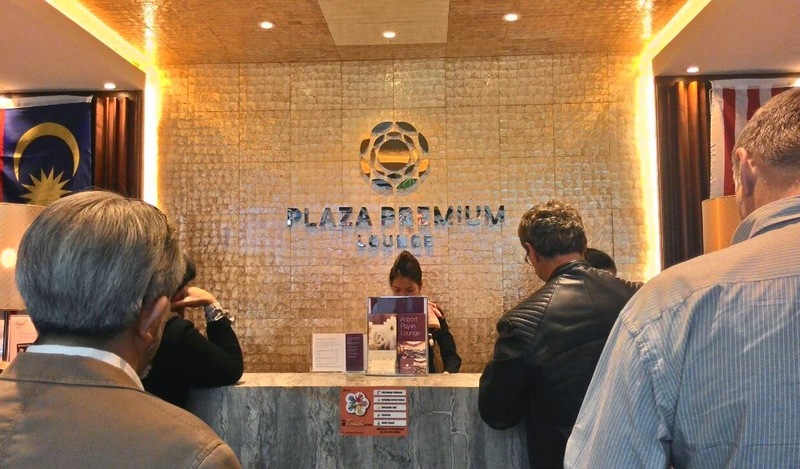 The Plaza Premium Lounge was our stop and it is an impressive space to relax while waiting for your flight. The seating is plush, there’s a delectable spread of gourmet dishes, options galore in beverages too, and to top it all, free WiFi – everything a traveller needs to lounge around and bide time in comfort. Being a vegetarian, food has always been a concern for me while travelling. To my relief, the food section at the lounge had a lavish spread of vegetarian fare – from soups and starters to the main course and desserts. So much so that that chef at the counter volunteered to put together a special Fried Rice plate for me, and within minutes I had this steaming hot plate of delicious fried rice on my table, while my friend gorged on some fancy non vegetarian delicacy. And the icing on our Plaza Premium Lounge cake was the lovely scenes of the KL International Airport (KLIA) runway, for one side of this lounge has a glass wall, offering stunning view of the vast airport and it was a memorable experience to sit by the window and gaze at all the sundry activities on the airport ground. 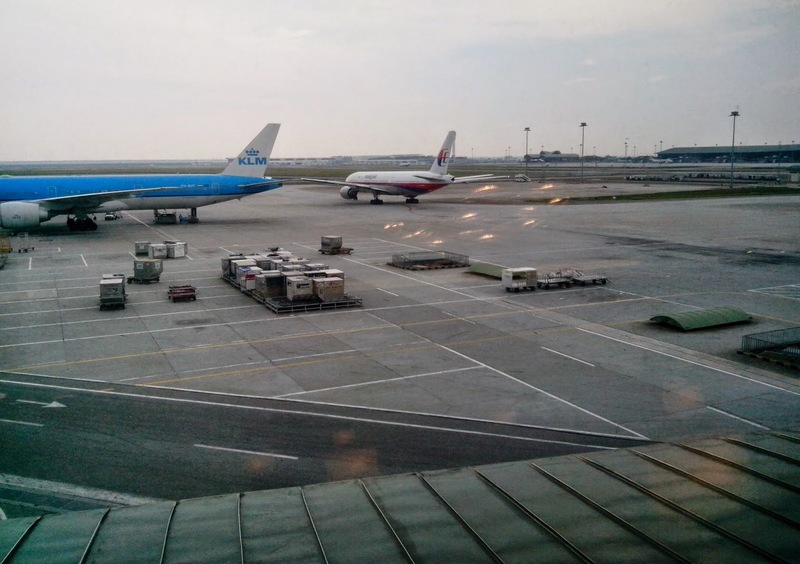 While the Plaza Premium Lounge offered a beautiful view of the runway, Malaysia Airlines’ Golden Lounge too had captivating vistas of the runway to offer. Awarded Asia’s Leading Airline Lounge, 2011 by the World Travel Awards, the Golden Lounge is a posh space – elegant and luxurious – where the travellers can relax in style, away from the airport crowd and chaos. Malaysia Airlines has 12 Golden Lounges at major airports around the world, and the largest is this one at the KL International Airport’s Satellite Terminal. And this lounge is magnificent – with its luxe ambience, plush seating and signature buffet islands – it’s a beautifully equipped space for all kind of travellers. Guests can tantalize their taste buds with plenty of gourmet options – from Malaysian to international food selections, and there indeed is a wide food variety to relish. Besides, for travellers with kids, there is a fun children’s zone to keep the kids entertained and occupied – a space where they can be themselves without disturbing the other guests. Just as we were done sampling the gourmet stuff at the lounge, it was time to head out for the departure gate for our flight was on time – as expected from the punctual MAS. So it was time to bid goodbye to Malaysia and with the gourmet indulgence at the lounges sitting heavy in our heart and stomach, we dragged our feet towards the homeward bound flight. Hope you enjoyed the post. Looking forward to your feedback! Great read with lovely pics. 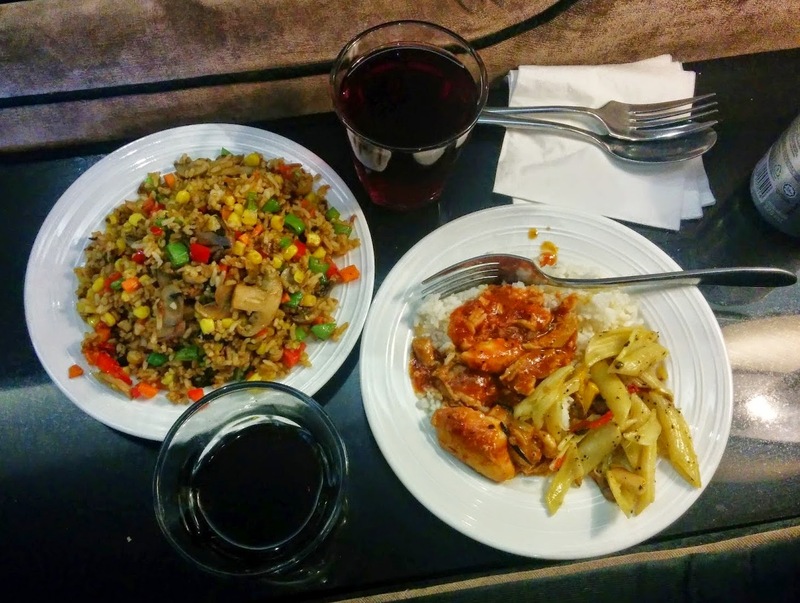 Glad that you as a vegetarian could find good food. Thanks Indrani. Yes, vegetarian food was an issue at a couple of places, but the fare here was scrumptious! Nicely shared. Congrats for earning this great trip! Thanks Najm. Glad you enjoyed the post. The Malaysia Trip trip was fabulous and Malaysia Tourism were the perfect host. Thanks for stopping by Prasad. At certain places in Malaysia, 'pure veg' stuff was an issue, but food experience at the lounges was all glitch free.